UMOYA. This is Reggae Music. 1982 - 2011. - UMOYA. This is Reggae Music. UMOYA. This is Reggae Music. 1982 - 2011. 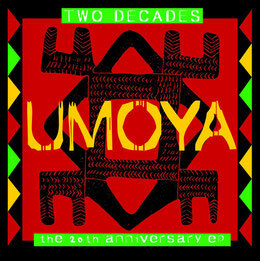 UMOYA (Swahili for unity) was part of a new generation of reggae bands who held true to the original spirit of reggae music, yet, by blending it with other musical influences, have found their own unique form of expression. The band's musical variety spanned the spectrum from traditional heavyweight roots-reggae to loversrock ballads to contemporary dancehall styles, while maintaining a continuity of sound. Skanking to the riddim of the drum and the bassline. Copyright by UMOYA - all rights reserved.